“They destroy Tibet for their own benefits” blogger says, as China makes plans to increase mining. In May, 2010 local Tibetans in the U Yuk Sogchen sub-district of Namling Shigatse protested environmentally destructive gold mining activities after repeated appeals to the local authorities for an end to the hazardous gold mining. Zhang Qingli, secretary of the Tibet Autonomous Regional (TAR) Committee of the Communist Party (CCP) of China said Saturday that the Chinese government will explore Tibet's minerals in a justified and intensive way in the coming five years. Qingli noted that “little exploration” has been done so far on Tibet’s “abundant mine reserves”. "We have to accelerate exploration to know what we have before planning how to make use of it," added Zhang. According to China’s official statistics, the Tibetan plateau has China's largest chromium and copper reserves with most of its rich iron, gold, silver, potassium, oil, and natural gas reserves unexploited. While speaking to reporters, the TAR secretary said the purpose of mining is "to benefit the local people". “Exploitation should be conducted in an environmentally friendly way and help create job opportunities for local people and raise their income," he was quoted as saying. However, exile Tibetans remain skeptical of China’s claims of keeping its promises while carrying out mining on the Tibetan plateau. 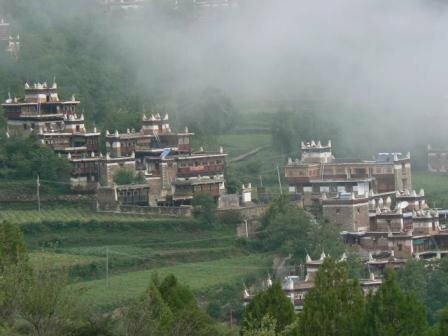 Head of the Environment and Development Desk of the Central Tibetan Administration, Tenzin Norbu notes that the Chinese government is trying to green-wash its past mistakes in front of the international media and once again fool the local residents. “Promises of job creation and raising income levels were made to the local Tibetan residents of Phondo, Lhundrup Zong and many other mining areas but they were turned down during the actual mining period. Mining protests relating to environment negligence and pollution are frequent in Tibetan areas," Norbu said. Tsering Woeser, the Beijing based award-winning poet and blogger remains a keen observer and a strong critic of mining in Tibet. "They say that Tibet's mineral resources are used rationally, but this is a big lie. In fact, they destroy Tibet for their own benefits." Tsering writes on her blog.